Grinding is an effective way to machine complex features in Nitinol components. Memry is capable of grinding geometries ranging from simple guidewires to sophisticated grinds for any custom application, including flats, radii, drill points, trocars, needles, or thread-like profiles. Due to its titanium oxide surface, Nitinol is a tough, abrasive material, making carbide tooling a best practice. Common grinding technologies used by Memry include centerless, hybrid centerless, conventional 3 or 4 axis CNC abrasive, and electrochemical grinding. 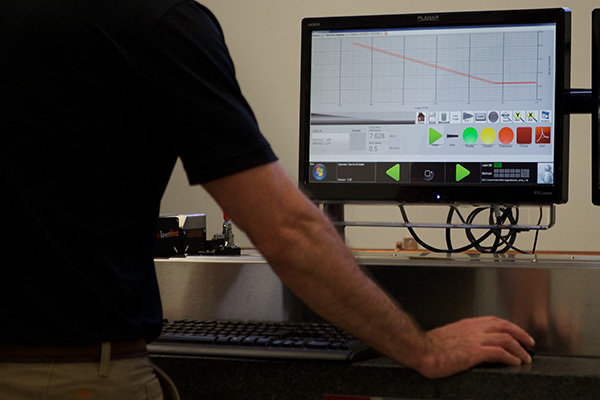 Memry also employs state of the art gauging technologies to ensure accuracy and repeatability of every part. Abrasive grinding is an ideal alternative to conventional machining because of the high ductility and rapid work hardening of the material. Electrochemical grinding (ECG) combines the precision of abrasive grinding with the low force qualities of electrochemical erosion. The process limits physical stresses, mechanical damage, and heat affect inherent to more conventional processes. Memry successfully applies ECG technologies to overcome the challenges associated with machining delicate features down to a few thousandths of an inch.